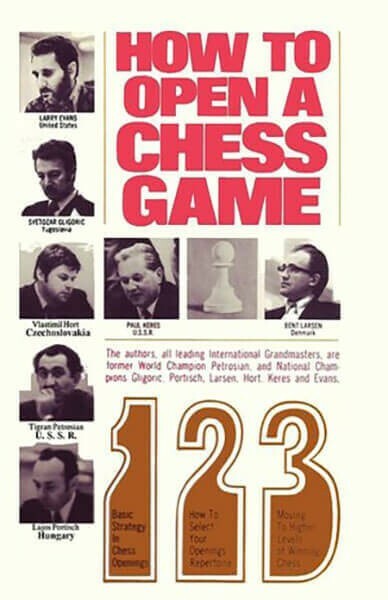 This is one of the most interesting, most unusual and most instructive chess books ever written. Seven of the World's Strongest Chess Grandmasters were each asked to write down their thoughts about how a serious chess amateur might best approach the problem of, very simply, "opening" a chess game? What makes this book especially great and useful is that each of these seven grandmasters had vastly different styles. For example, Bent Larsen used wild, unorthodox attacking lines, whereas Petrosian, who was capable of attacking when he wanted to, preferred to sniff out his opponent's chances and wait for the opponent to attack unsoundly and fall upon his own sword. This book therefore gives the practical amateur player seven different styles to choose from. Thus, he needs only to choose which one is most suitable for himself.